I stumbled upon the Betsywhite Stationery Boutique somehow, and I instantly fell in love. 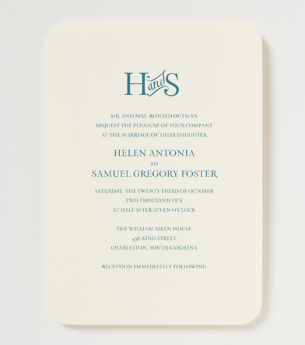 Based out of Atlanta, Georgia, this online boutique focuses on stylish yet affordable stationery. The style I went with is called the Emmy. 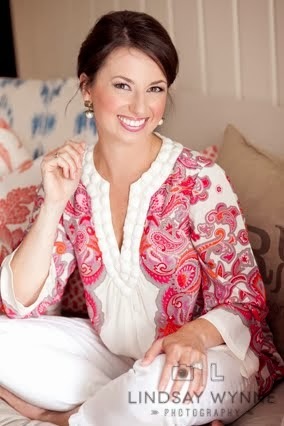 It is from a Betsywhite collection called Simple Solutions that is extra affordable. You can get 100 invitations and response cards for $250! 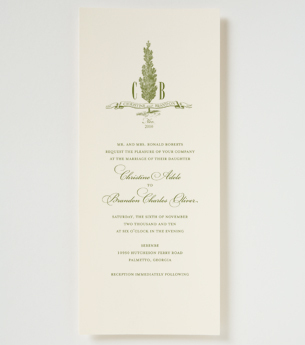 Anyone who has placed a wedding stationery order knows how good of a deal this is. One thing to note: the set does NOT include an inner envelope, and it was important for me to have an outer and inner envelope. I emailed Betsywhite to inquire about this and heard a response back super quickly. They gave me a special code to enter upon check-out that would add inner envelopes to my order. It was incredibly easy. So my final order was for 150 invitations and response sets, an order of 150 inner envelopes, and an extra order of 25 outer envelopes for calligraphy mess-ups. I ended up spending approximately $3.08 on each invitation suite (excluding postage). It was affordable and beautiful ... exactly what I wanted. Do you like them as much as I do? And finally, did you know that if you invite the President to your wedding, you'll get a congratulatory letter from him and the First Lady? Coincidentally enough, I received this letter from them on our wedding morning! I was sitting at the table doing some last-minute calligraphy and Mom brought in the mail. It's such a thrilling feeling to see "The White House" in the return address area of the envelope. 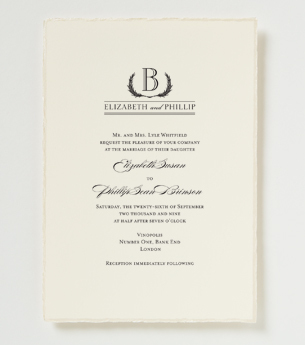 I won't show what the card they sent us looked like just for you brides-to-be ... I want you to be surprised when you get this in the mail! 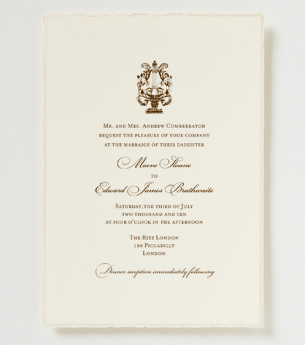 Wow, those invitations are truly gorgeous! Who did your calligraphy? Very cool about the White House! Thanks Classic Annie! 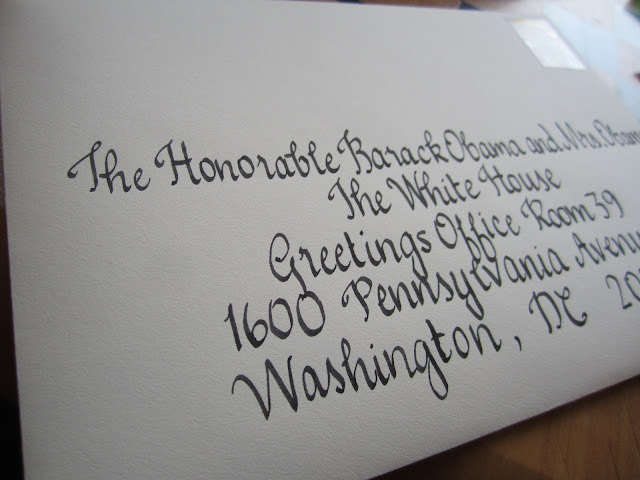 I did my own calligraphy ... it was time-consuming but a true labor of love! LOVE your invitations :) i would be so happy recieving them in the mail! Amazing, April! You impress me every day. When the day comes, I'm hiring you to be my wedding planning assistant. Super adorable invitations! And, I am so mad I forgot to send the invite to the President! So glad you remembered! How cool! Beautiful invites! I wish I would have known about sending the President an invitation..lol I've never heard of that before, but that's awesome!! Wish I would have known before I got married so I could do the same!! I opted out of paying someone to do calligraphy. I cheaped out. LOL! amazing post. I am most definitely going to send an invite to the White House now! Your calligraphy is amazing!!!! Did you take lessons? I have seriously thought about taking some lessons and then doing my own..
Oh wow, that's neat! I'm definitely going to do that! Wow! I'm saving their address. That is just too cool! Your invitations are beautiful, and I really enjoy reading your blog--you have so many great ideas. Have a great weekend! Those are beautiful. We got ours from David's Bridal which I would not recommend, although they did turn out great. 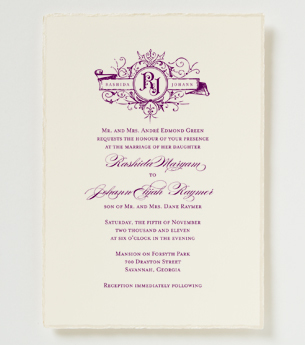 Oh I do love those invitations--they're classic without being stuffy! And wow, I will have to remember to invite the president to my wedding whenever it will be!